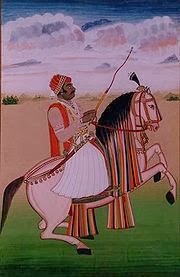 पावत मनन इच्छा , सबहीं को जग उजियारो "
King Maan Singh Tomar was the sun of Kalyanmal . He got music and art in his heritage. Date of birth and education of Maan Singh Tomar is not known but he ruled the Gwalior region from 1486 AD to 1517 AD.Thens Emperor of Delhi King Bahlol planned to capture Gwalior and attacked dholpur in that order. But because of the well organized political move and leadership of the Prince of Malwa , Bahlol got defeated by Chanderi's Sherkhaan. King Maan Singh Tomar ruled for about 30 years without any political imbalance. But king Bahlol again attacked on Etawah's Chauhan Ruler Shakti Singh and captured him.But when he was travleing from Etawah to Gwalior King Bahlol died near Mitawali.After the death of Bahlol , Sikandar lodhi became the Emperor of delhi .He arrived in gwalior to capture it but he compromised with King Maan Singh and returned back to delhi. 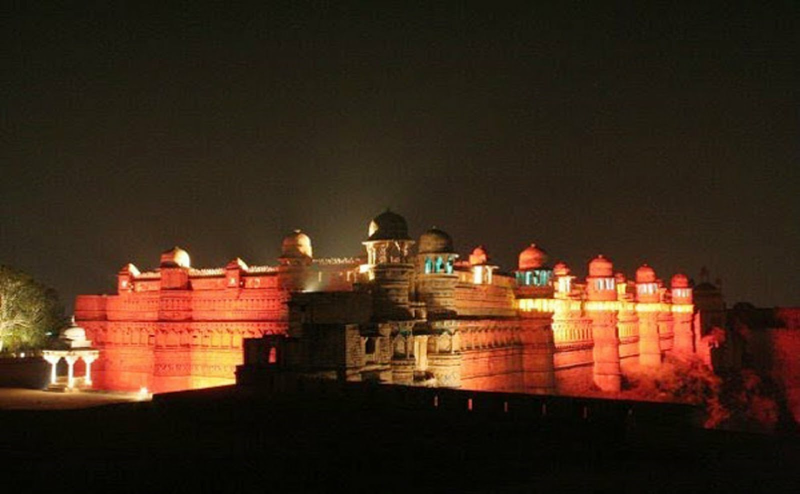 But when Sikandar Lodhi's enemies took shelter in Gwalior he again came to attack Gwalior but on the banks of river Chambal infestious disease affected his army and he was not able to attack Gwalior.After that Sikandar Lodhi made his capital in Agra. He again attacked Gwalior Region on 6th July 1505 and started robbing the local public.King Maan Singh Tomar ordered his army to defend and both the armiesareinfron at Jaura (A tehsil in morena district ). Sultaan was not able to face the war tactics of the army of King Maan Singh Tomar. Sikandar Lodhi flied to Dhaulpur (A district in Rajasthaan) as a life saving move. Sikandar lodhi then attacked pavaya and built a Fortress their.master of pavaya rai Dungar changed his religion under the pressure of Sikandar Lodhi. They again attacked Gwalior but the Rajput rulers had fight with them till the end and Sultaan Sikandar Lodhi was again a looser.